Let's continue where we left off from Importing Your Tax Forms Into Payable. 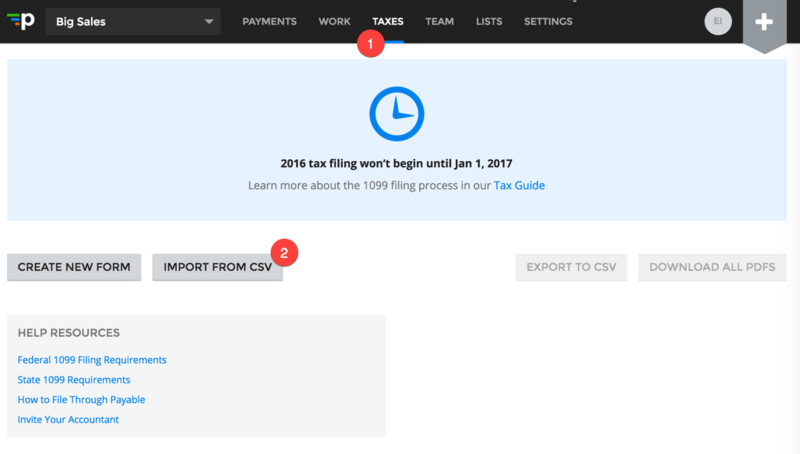 In this part, the focus is on the steps to import your Tax Form CSV. 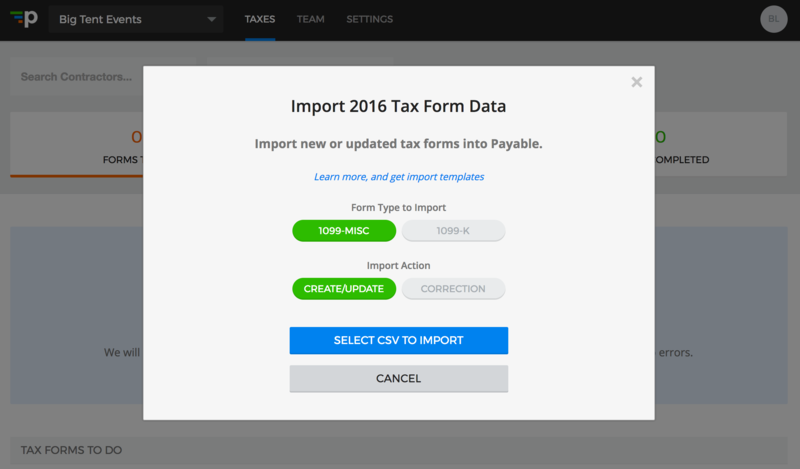 The process has you choose your form type, the import action, and your import file. Import Action "Create/Update" is to create new 1099 forms or to update existing 1099 forms. Import Action "Correction" is to correct forms that were previously e-filed and delivered. Your forms are then validated, and you are presented either a list of issues to address, or a confirmation to continue with the import if the validation is successful. If you are getting errors during validation, Payable tries to give you the line number and column where Payable found the problem - see the detailed documentation about each field to determine why your inputs were rejected. You can now view and edit the tax forms as needed before e-filing them.